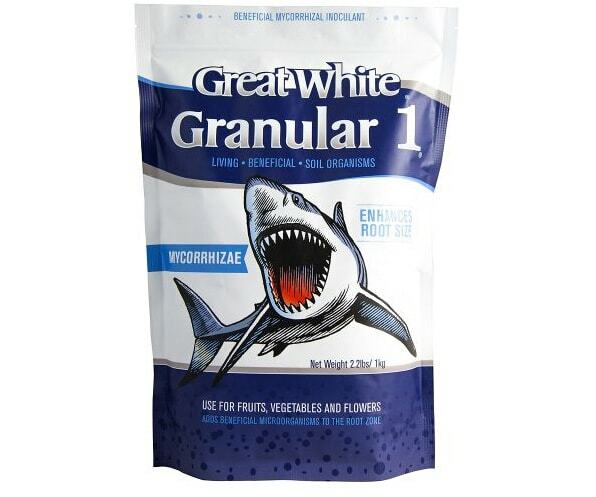 Great White Granular 1® is a single species mycorrhizal inoculant. The single strain keeps the cost down but yields high! 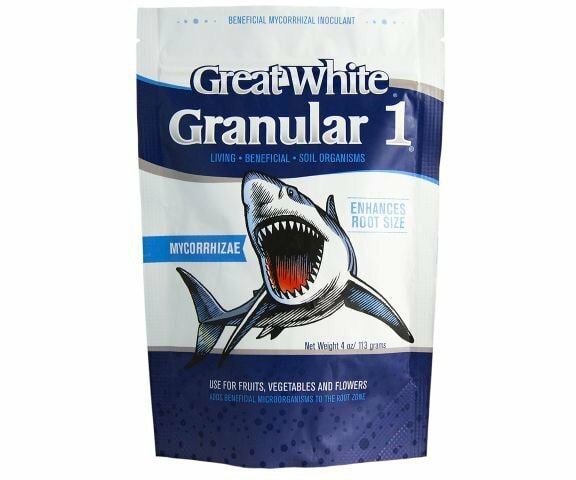 The Glomus intraradices strain used in this product has been specifically selected because of its proven results in many field trials. Using mycorrhizal fungi has been found to enhance yields, nutrient and water uptake and minimize transplant shock. A great addition to any planting mix.